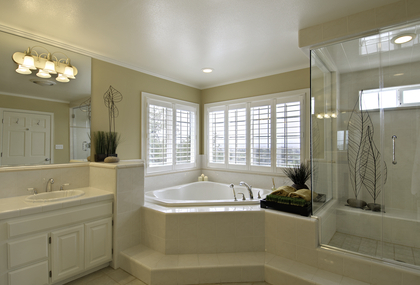 How are you going to keep your bathroom warm this winter? This guide was written by Alex. B. To keep up with the latest Remodeling and Home Improvement Ideas, join Alex on Google Plus! 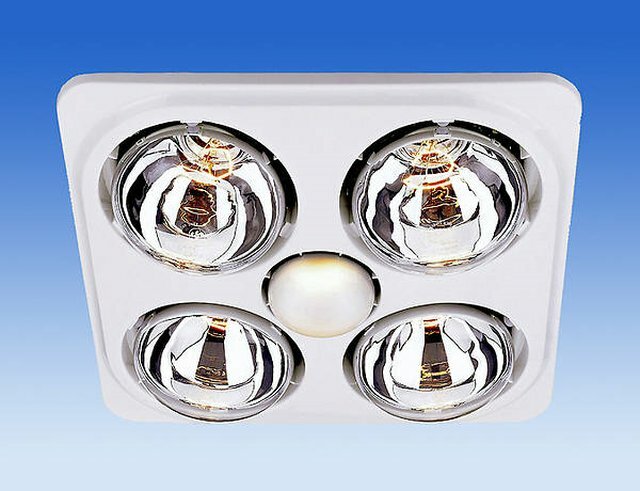 Hi, I’m looking for bathroom heater & light combination that has a seperate switch on the unit to turn on the heater function – since my bathroom light has only one switch (old house). Any suggestions woud be appreciated. We have a freezing bathroom in an old house with 4 metre high ceilings which is 3 X 4 metres. We cannot last another Winter without a heater as the thought of having a shower is frightening! What can you suggest? Thanks. You are always going to have some issues because hot air rises. Whatever you do you might find a downward blowing large diameter fan on the ceiling will return the hot air to ground level. This technique is commonly used industrially. Next option put in a false ceiling at a lower level with insulation on top. This will definitely then give you a manageable volume to heat and maybe your existing heating will be sufficient. One option and probably the best one is to have one or more electric infra red radiant heaters. If the lamp type they will need to be suspended so they are at around 2.4m. The alternative ones that look like electric fires can be fitted at about 2.5m on the wall. these work very well. Make sure they are specified for bathrooms. 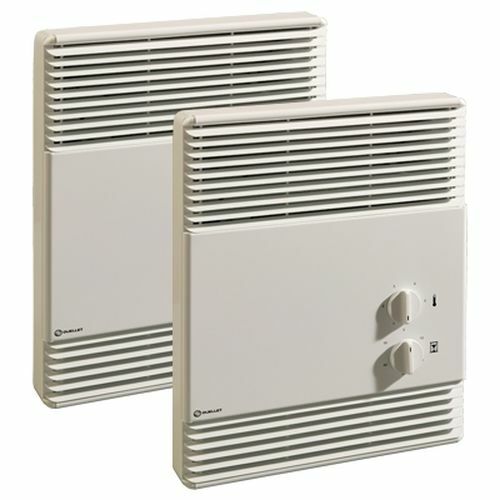 Next option is to have a wall mounted fan heater preferably connected to your central heating system. for some reason – I don’t know why – Myson say the max ceiling height is 3m. Smiths don’t make this restriction. You are going to need at least 2kW. 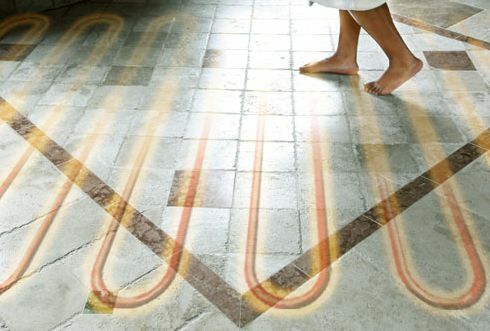 Don’t bother with underfloor heating – it will not warm your bathroom. Normal convector radiators will send all the heat up to the ceiling as so will be ineffective without the ceiling fan I mentioned earlier. Towel rails alone have very low heat outputs so are again ineffective for your application. 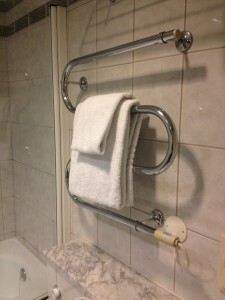 Hi, I have recently been thinking about buying bathroom heaters and have just discovered that there are other options. Such as towel rack heaters, under floor heaters, and more. I live in North Westchester, New York, so I think you can understand why I am so interested. We actually have previously moved here during the New Year of 2017, and we didn’t realize how harsh the winter would be. This time I want to be prepared. Since you are the expert I was hoping you could tell me which brand or type heater I should use, or if you could tell me what you do / or would use if in my circumstance. I have 3 bathrooms in my home. One is a large full master bathroom, ( that has tile floor), with a large painting that I am not sure if it will be affected by the heat. My second belongs to my girls, (whom I can tell you won’t even bother taking showers if they’re not warm). They too, have a large bathroom and tiled floors. The last bathroom is the smallest. It is a full bathroom that has a tiled floor, its a guest bathroom near the foyer and the kitchen. PLEASE REPLY A.S.A.P.! Winter is starting!